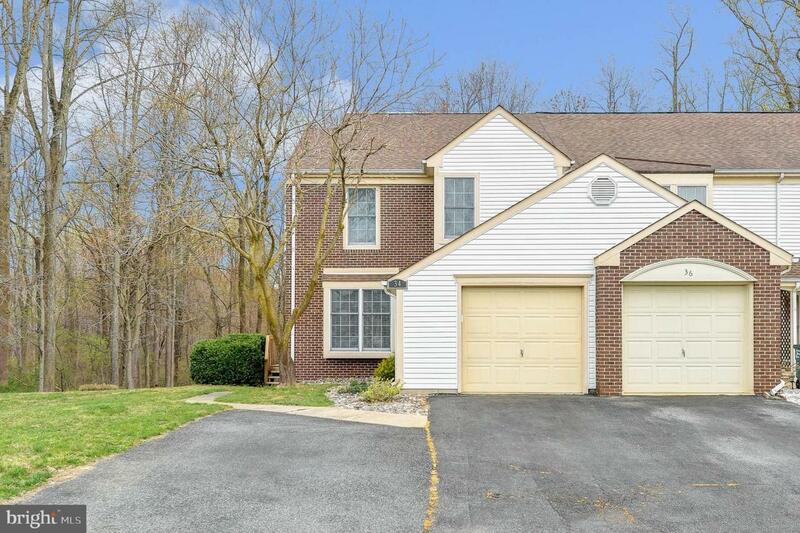 Charming 3 Bed, 2.5 Bath End-Unit Townhome located on a PRIME LOT in Becks Woods. 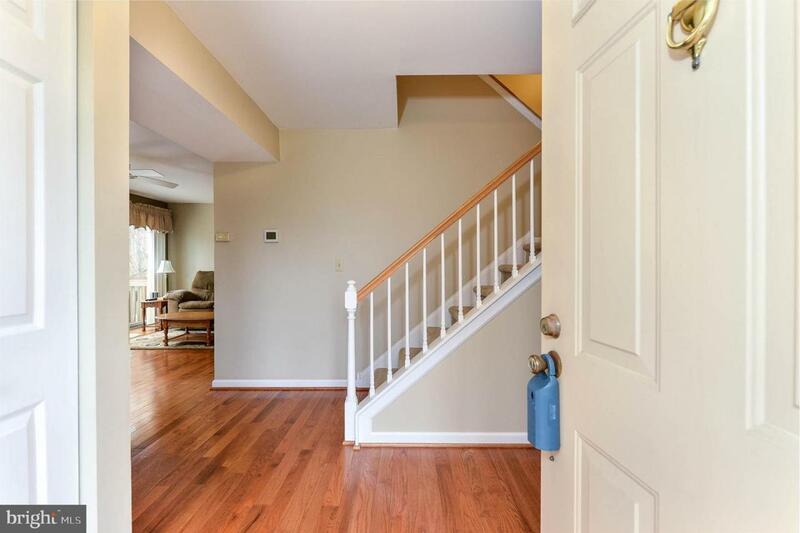 Enter this home and you will find natural hardwood floors that run throughout the entire first level. To the left of the main entrance is the living room with numerous windows that allow you to look out upon the wooded space that backs to the yard. Plenty of natural light flows throughout the home. A gas fireplace is situated in the living room, just beside the sliding glass doors that lead to a huge elevated deck. Head out to the deck, which wraps around the rear and left-sides of the home, and you will find ample space for all of your outdoor entertaining needs. Open to the living room is the kitchen which includes a breakfast bar, gas cooking, a pantry, and ALL APPLIANCES INCLUDED. The dining room space is just beside the kitchen. Also on the first floor is a powder room, the laundry room and interior access to the 1-Car GARAGE. The master bedroom features 2 closets (1 WALK-IN Closet) and a full master bath that has been completely updated. The master bath features wood-look tile, granite countertops and glass shower sliders. 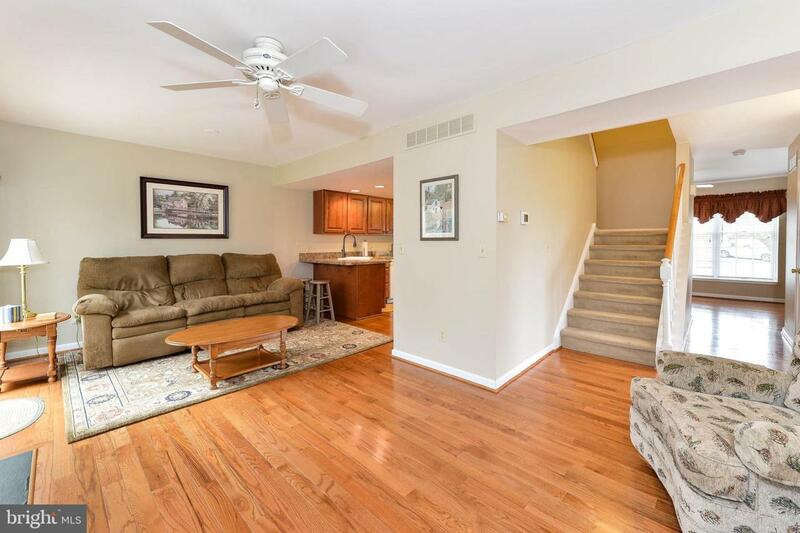 Two additional bedrooms and another full bath are also located on the 2nd floor. Lastly, you will find the FINISHED BASEMENT which offers a wonderful opportunity to expand your space. With brand new carpet and a large closet, this area could be used as a family room, game room, den, or even as a possible 4th bedroom. The unfinished basement area has sliding glass doors that provide walk-out access to the back yard. 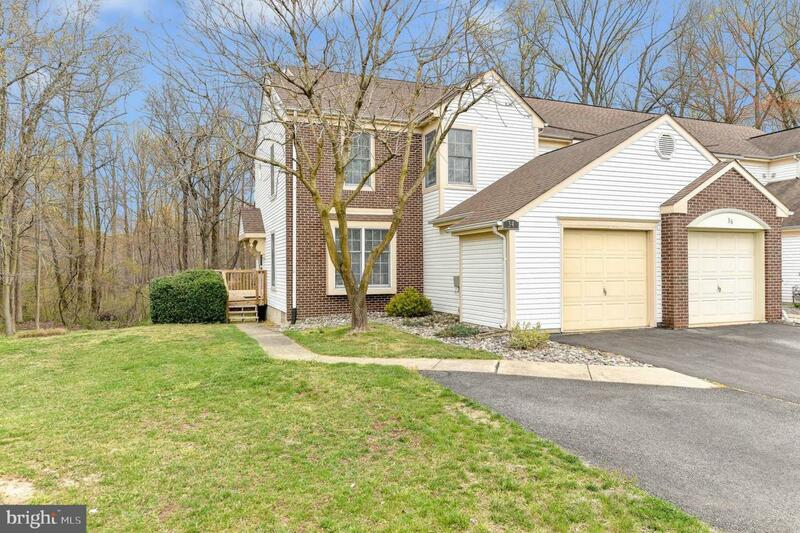 This PRIME LOT backs to woods for added privacy. Other notable features include; NEWER ROOF, NEWER HVAC, all original plumbing replaced with PEX, Anderson Windows throughout, 1-Car GARAGE, EXTENDED 2-Car Driveway, and ALL APPLIANCES INCLUDED. As an added bonus, most of the remaining furniture will be included in this sale! Don~t wait, schedule your tour today before it~s too late! !